In pursuance of India’s ‘Act East’ policy, Eastern Fleet under the command of Rear Admiral Biswajit Dasgupta, YSM, VSM, the Flag Officer Commanding Eastern Fleet are on an overseas deployment to the South East Asia and Southern Indian Ocean. 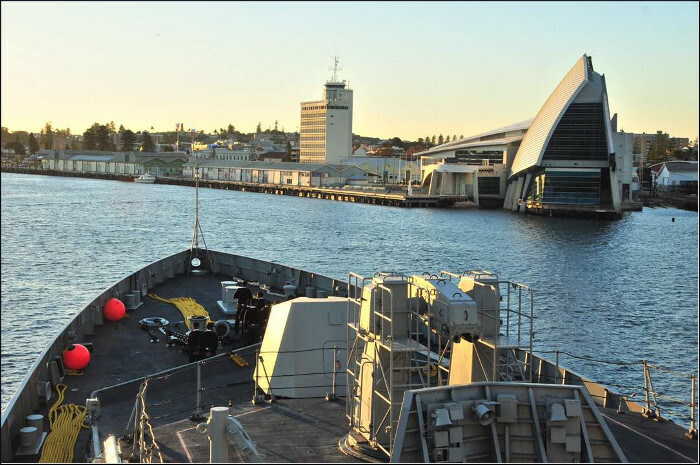 Indian Naval Ships Jyoti, Shivalik and Kamorta are on a port visit to Freemantle, Australia from 13 June to 17 June 2017. Vice Admiral HCS Bisht, PVSM, AVSM, ADC, Flag Officer Commanding Eastern Naval Command is also visiting Freemantle during the period. 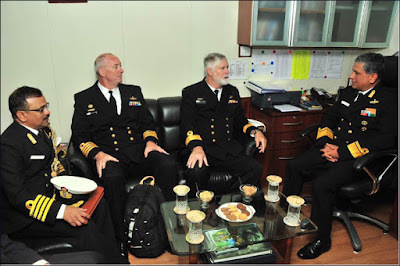 The visit of the Indian Naval Ships seeks to underscore India’s peaceful presence and solidarity with friendly and harmonious countries towards ensuring good order in the maritime domain and to strengthen existing bonds between India and Australia. The two countries share a rich history and a strategic relationship. A number of bilateral agreements exist between the two countries in a various spheres. 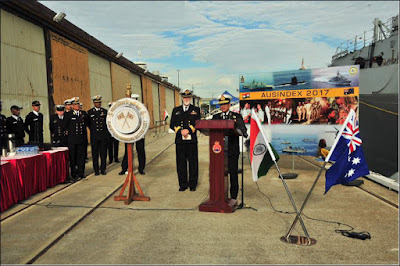 During the stay in harbour, various activities such as official calls, formal reception on board ships, ships open to visitors, guided tours for Indian naval personnel and professional interaction between naval personnel of both the nations have been planned. 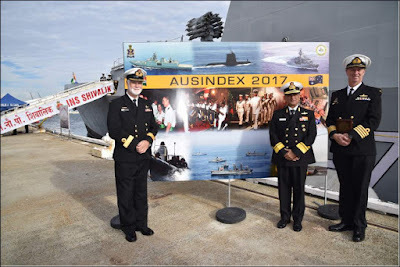 AUSINDEX-17, a bilateral maritime exercise between the two navies would also be held as part of the visit. This would be the second edition of the exercise with the maiden edition having been conducted at Visakhapatnam in 2015. The exercises aim to increase interoperability and are in consonance with the growing cooperation between the two countries. In April this year, Prime Minister, Mr Malcom TurnbuII visited India and called on the Indian Prime Minister, Shri Narendra Modi for bilateral talks and enhance the partnership between the two countries. Indian Naval assets have been increasingly deployed in recent times to address the main maritime concerns of the region. In addition, as part of the Indian Government’s vision of SAGAR (Security and Growth for All in the Region), the Indian Navy has also been involved in assisting countries in the Indian Ocean Region with EEZ Surveillance, Search and Rescue, and other capacity-building and capability-enhancement activities. The current deployment will contribute towards the Indian Navy’s efforts to consolidate inter-operability and forge strong bonds of friendship across the Seas. 2 Over the past few decades, India has made substantial advances in terms of designing and building warships indigenously and the visiting ships bear testimony to these capabilities. INS Shivalik, a muIti-role stealth frigate is commanded by Captain R Vinod Kumar while INS Kamorta, an Anti-Submarine Warfare Corvette is commanded by Commander Vipin Gupta and INS Jyoti, the fleet replenishment tanker is commanded by Captain S Shyam Sundar.